Hardening - (in computing) the process of securing a system by reducing its surface of vulnerability. You may need to check many components, features and configuration files in order to safeguard your system from attack. There are some tools available around, made to make your live easier. OpenVAS, Lynis, and MBSA (for Microsoft users) just to name a few. In this blog post I will present how you can identify security concerns on UNIX-based operating systems using Lynis. Keep in mind that default baselines provided with scanners may not be sufficient to detect all incorrectly configured services on the target machine. Now Lynis should be ready at your command. As you see, suggestions include links to knowledge base provided by the vendor. The results show that in case of default installation of Ubuntu 16.04.2 LTS there is a clearly a huge margin for improvement. But do not be suprised - from my experience there is no such thing like default installation of Linux/UNIX distribution being fully secured. All details are also stored in a log file. Findings and other discovered data are stored in a report file. This can be used to compare difference between audits. 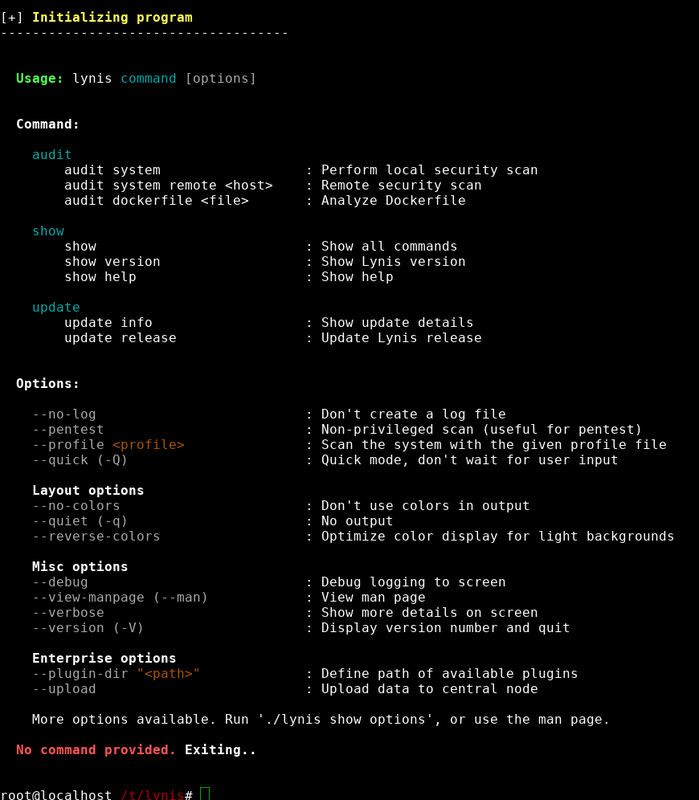 Lynis can run as a cronjob (use --cron option to perform scan with cron safe options - no colors, no questions, no breaks). Want to create your own tests? Have a look at Lynis SDK. Everybody loves to read blog posts, right? If not - here is 30 seconds demo made by CISOfy.